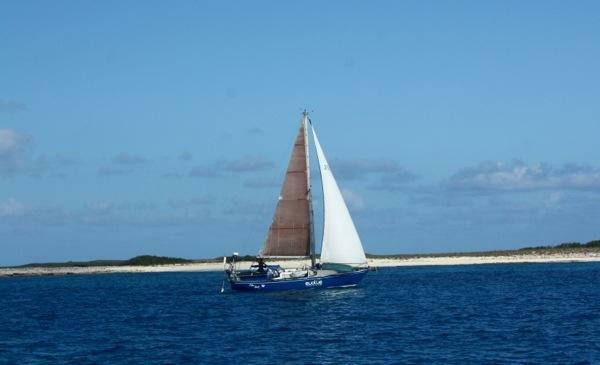 Our overnight sail was filled with positive energy; we checked in with our fleet every two hours on the VHF. It was refreshing to hear familiar voices. We tracked our locations, swapped details about our sail trim and speed, fantasized about our upcoming adventures, and told jokes. The hours passed quickly and soon we were starting a brand new day. Traveling with free divers brings spear fishing to a whole new level, deeper. 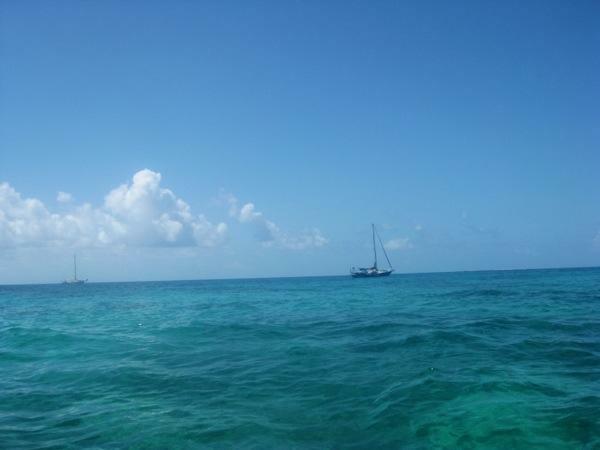 We stopped at Mira Por Vos Cays where Ren, Ashley, Nick, and Brian set out to explore the reefs. Brian was thrilled to learn diving tips and observed a new world under the water at 40 feet! I took the kayak for a spin and was able to spot a sea turtle before he jetted away. It was a nice stop. After dinner we set sail once again. 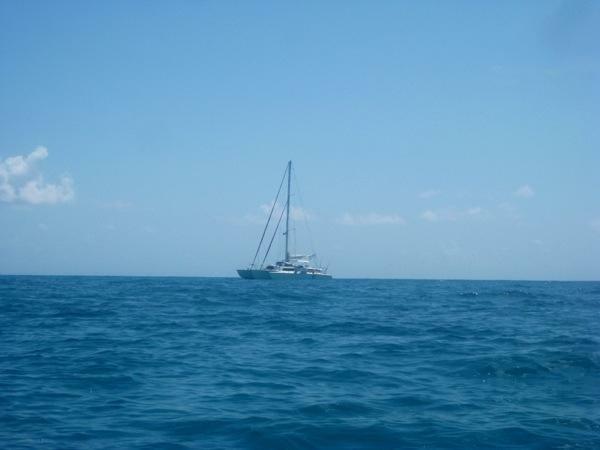 EZ and Nila Girl decided to push forward and continue all the way to Jamaica; they had favorable winds. 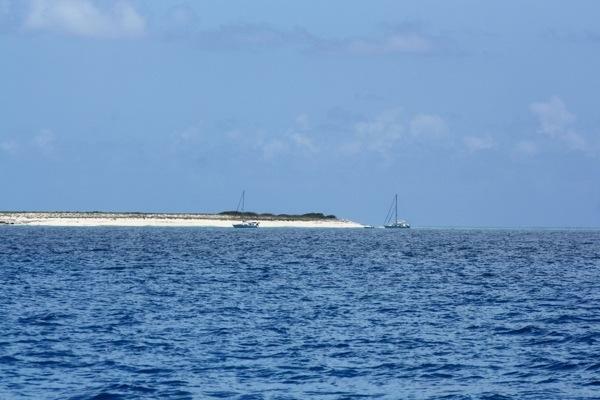 Rode Trip and Serendipity stuck to our original plan to stop at Great Inagua, Bahamas along the way. We enjoyed another overnight with VHF check-ins until we sailed out of range. We’ll see ya soon, mon! so what was dinner that night with all the great divers? 40 ft?? How the heck….learning free diving Brian? I LOVE keeping track of you guys so much! I so need to get back to my blog- I write too much and need to do what you do- a little explanation with great pics- heaven knows I HAVE THE PICS!!! !